I have been successfully selling products and services for over two decades. My first job was at the age of 10, working at a hot dog stand in Skokie, Illinois. It’s where I first learned the value of, “you want fries with that?” which you can read about in my sales system – How to be a Professional Salesperson. I have won sales awards throughout my career. My company, MindIQ, has been included in the INC. 500 list for one of the fastest growing private companies in America, over a five year period. I have encountered probably every type of sales situation you will ever run into. 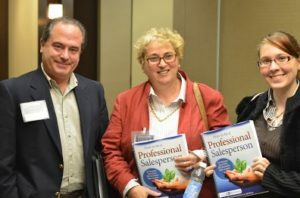 I have an insatiable thirst for knowledge, and in particular, sales knowledge. Based on my sales results over the years and my continued desire to be the best at what I do, I consider myself to be an expert in, and an ongoing student of, the art and science of selling. So, if you’re ready to sell more, and earn more, let’s get started!